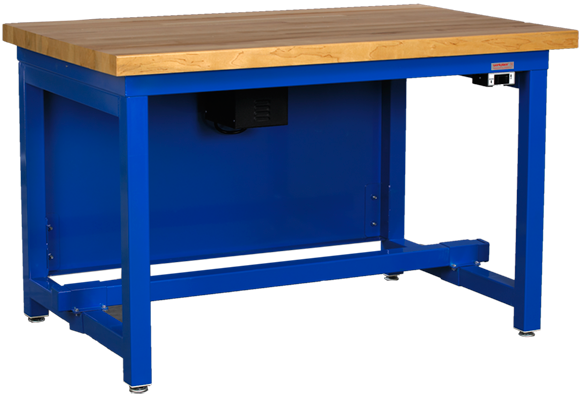 Whether it’s different people using the same bench for different tasks, or a multi-shift operation, a height-adjustable workstation is virtually mandatory to meet today’s human factor requirements. The Workplace One-Touch Motorized Height-Adjustable Workstation brings ergonomic versatility to new heights simply with the touch of a button. Motorized height adjustment of your worksurface between 30” and 42” within seconds. Plus, front leg scales help you precisely set the right height every time, and the add-on mobile kit lets you easily move your workstation as needed. Call one of our experienced Design Specialists at 1-800-258-9700 today or just fill in the form below and we’ll contact you within one business day. 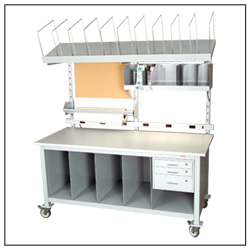 However you choose to contact us, we will work with you to fit workstation and accessories perfectly to the task at hand. No compromises required.